Captain America The Winter Soldier is the sequel to Captain America The First Avenger and The Avengers. Captain America The Winter Soldier is the final film before The Avengers Age Of Ultron and after Thor The Dark World and Iron Man 3, it has a lot to live up to. Especially since some fans felt Captain America The First Avenger was the weakest of the Avenger films.Not only that a percentage of fans felt he was one of the less interesting characters in The Avengers. Well I've seen it and I'm here to let you know how Captain America The Winter Soldier fares against all those other superhero movies out there. Read on Agents. It's been an undisclosed amount of time since The Avengers and Steve is still learning to acclimate to his new surroundings. He's taken up residence in Washington DC(bit on the nose don't you think) and he's now working for S.H.I.E.L.D as a full time agent. As missions go down he begins to question Nick Fury and what he is doing for S.H.I.E.L.D, as he questions everything around him and lamenting for everything he has lost, his friends, his world, his innocence. Then Nick gets attacked and Steve is implemented in the conspiracy around that whole attack so from that point on he is on the run from S.H.I.E.L.D with Black Widow and Falcon in tow to help him sift through all the conspiracy crap and to find out who the mysterious Winter Soldier is and what his connection is to Captain America. With Captain America The Winter Soldier a lot of promises were made. 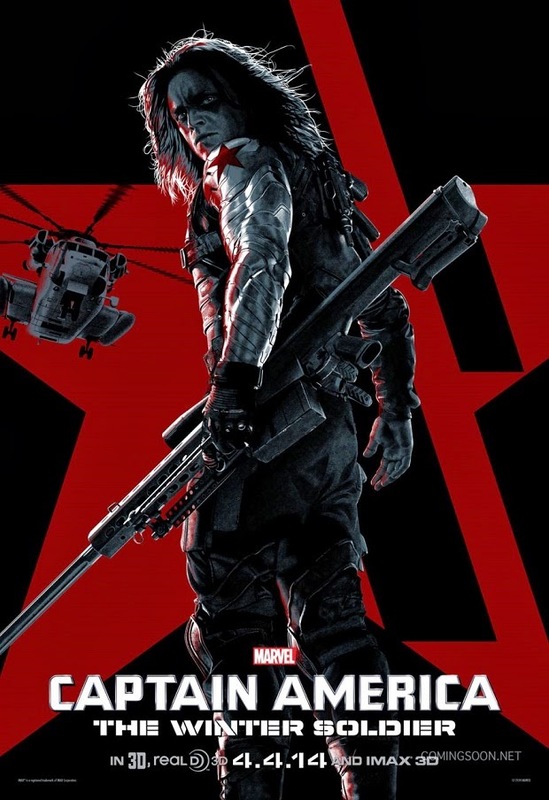 We were given a storyline which involved a character that is a fan favourite to every Marvel comic book reader, the Winter Soldier and he is fantastic. Every scene that he is in is just elevated from your run of the mill action sequence to something deep, dark and visceral. 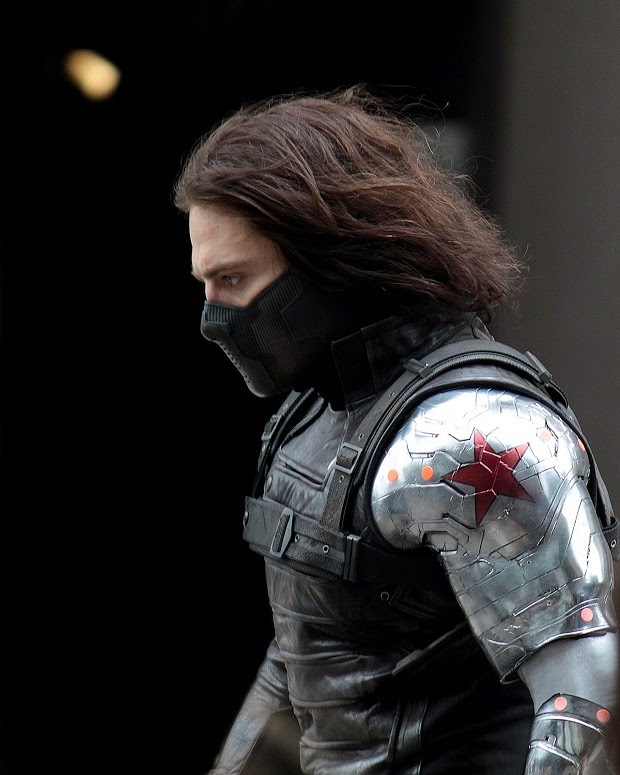 He is legitimately threatening, at times depressing and an all round fantastic live action interpretation of the Winter Soldier. What is unfortunate is that, in my opinion, he is not in it enough and is also not given nearly enough lines. The dynamic between Steve and new guy Sam Wilson aka Falcon is handled well, both are men who have come back from war and don't know how to adjust to the "softer" side of life and there is a real sense of brotherhood here as Sam looks to Steve as both a symbol that needs to be protected and as a friend who needs help. Unfortunately this cannot be said for the "relationship" between Steve and Natasha, shoehorned into this budding friendship is a kind of weird attraction that just does not work because Scarlett Johansson is not great in this film. She is without a doubt one of the weaker elements of an almost perfect movie and on that note I'll mention the other weak link, Robert Redford who plays Alexander Pierce a character who is pretty forgettable. He is just there to put a face to the enemy and what dignified face it is but that's really it if you're looking for more interesting villains look elsewhere. The story is pretty deep and raises so many interesting questions, for example I honestly don't know how Agents Of S.H.I.E.L.D will go on now and I really like that. The ramifications of this movie will be felt throughout the entire series of films dare I say even more so than any other Marvel movie. With Stephen Strange mentioned, the status quo of the Marvel Universe up in the air and an end credits scene that sets up The Avengers Age Of Ultron perfectly this is my favourite Marvel sequel and in my opinion the best Marvel sequel. With intense, focused action and depth that wasn't in the last movie Captain America The Winter Soldier is a fantastic movie for everyone.